Sanjay Dutt and Madhuri Dixit's chemistry back in 1990s was a treat for fans on screen. The duo teamed up for nine films in the decade. They first shared screen space in 1988 in the film 'Khatron Ke Khiladi' and their last outing together was Mahanta in 1997. And finally, after 22 years, the duo has teamed up for Karan Johar's Kalank. 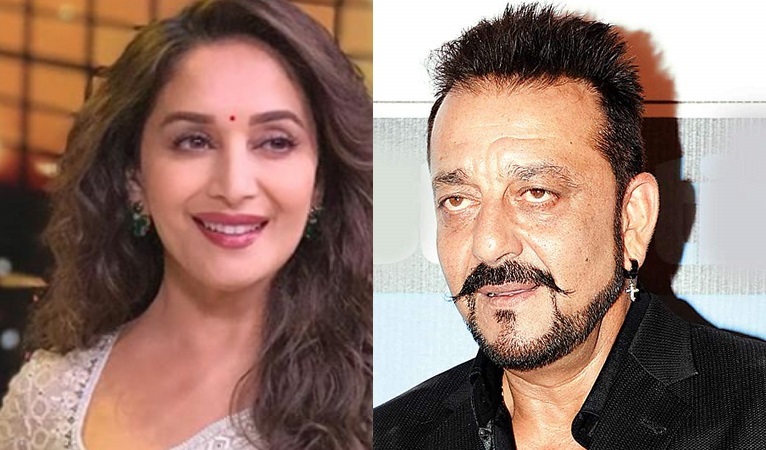 Talking about it Madhuri at the teaser launch of Kalank was quoted saying "It's been more than 20 years since we worked together (Sanjay Dutt) and recently I worked with Anil Kapoor it's really amazing to work with your co-actors once again". While Sanjay plays an intense character (Balraj Chaudhary), Madhuri plays a courtesan and his ladylove. The teaser of most anticipated film Kalank has been released today and it is quite interesting. The film is directed by Abhishek Varman and it stars Varun Dhawan, Alia Bhatt, Sanjay Dutt, Madhuri Dixit, Aditya Roy Kapoor and Sonakshi Sinha. Kalank is produced by Karan Johar and is slated to release on 17th April 2019. The RECREATED Version of 'Bumro' form Notebook to release tomorrow! Did you know about Kriti Sanon's this is superstitious belief?